Just three weeks ago the National Transport Authority (NTA) officially started the tendering for 2016 of initially 10% of Dublin Bus routes and a further 10% of all Bus Eireann routes with most of the routes in Waterford City, and a number of Dublin commuter routes are to be privatised. In the original plan a number of Cork City routes were to go but these will probably happen later. This process has been the culmination of a relentless effort by Fine Gael (FG) in the present government and their predecessors and fellow Neo-Liberal ideologists, Fianna Fáil (FF) in the last government where they have consistently pushed for the break up of both Dublin Bus and Bus Eireann so that it can be handed over to their friends in the private sector to run on a profit basis. The NTA is used as a sort of cloak of respectability to give the impression that they will actually be a regulator with teeth of which we know very few regulators have any teeth, with the banking regulator during the Celtic Tiger coming to mind, plus many other examples and the function of NTA is really for propaganda value to convince the middle class. However this whole scheme is about ideology and is NOT about competition but about privatisation. The tactic of tending just 10% of the routes is to take a softly softly approach so as not to alarm the public but the intention is very clear and in the submissions made by various organisations including private bus operators, all of them urged that there be further rounds of tendering with suggestions made it should be up to 30% to 40% of routes. The reason they don't want the lot just now is because they need time to gear up for them. In the case of the UK where bus services have been deregulation, rural fares went up 12% and usage went down 19% - 26% while in urban areas like London, fares went up 39%. Not only that the government has to subsidise a good many of the routes otherwise the private operators would not make a profit and would discontinue the routes. In the case of Newcastle where the council tried to get back the bus service the private operators refused point blank to do any such deal and threatened to stop the entire service. Additionally the UK Competition Authority found evidence of cartels as just 5 companies carried 70% of the passengers, yet they found head to head competition to be uncommon which is a clear indication the routes were sown up or 'owned'. 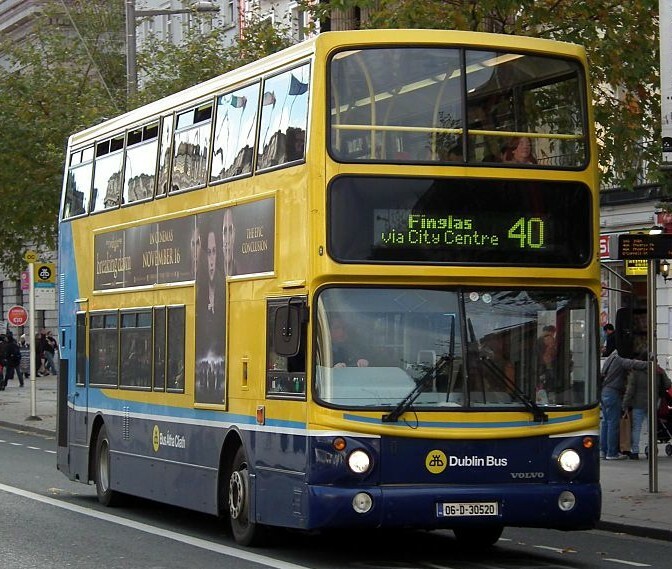 In the case of Dublin Bus and Bus Eireann, the removal of 10% of routes will further cut into their revenue putting further downward pressure on wages and increasing fares. This will discourage public use more and bring greater threat of disruption due to legitimate industrial action. It will also mean their bus fleets will shrink further and as more routes are taken off them, revenue will drop and yet more shrinkage of the fleet. Meanwhile the private operators will be building their own fleets and will quickly have a larger fleet than either Dublin Bus or Bus Eireann. Once this happens they will be in the same position as what the private operators did in Newcastle and will be able to dictate terms and threaten any efforts to take back this vital service into public ownership. At the same time they will be extorting the subsidy out of the government and you can be sure of two things. It will be a lot more than what is now paid to Dublin Bus and Bus Eireann and we won't be allowed find out because we will be told it is subject to commercial confidentiality. For the workers who at least in the state companies have some sort of secure employment, decent working conditions, a union, and entitlement to a pension, none of this will apply to the new workers of the private operators who are likely at best to be poorly trained if at all, paid minimum wage, have no pension entitlements and have insecure employment, likely no union protection and very likely disruptive shift practices imposed by management. It is not exactly clear what the criteria was for the selection of the routes put out to tender but depending on what the routes are, there are two different scenarios to consider. First though it is worth considering the case of running a bus service whether in a country or nationwide and the first point to make is that you cannot provide a bus service and run it profitably. It is impossible and nobody anywhere in the world has done it. In the case of Europe, Ireland in fact gives the lowest subsidy for their public bus service which goes some way explaining why the service could be better. Incidentally we glad gave tens of billions building motorways which in effect is a subsidy to private motoring and the infrastructure of oil, motoring, road construction and car insurance. We should also stress again that in the UK where the service is privatised, it needs a subsidy to keep it running and in percentage terms that is higher than in Ireland. Part of the reason for why running a bus service cannot be run solely for private will be due to the nature of passenger volumes and distributions and this will be reflected in the routes. 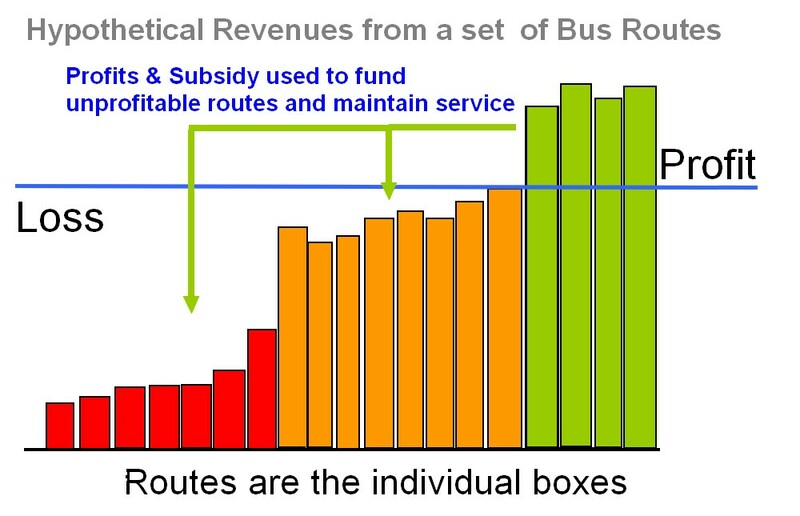 In the diagram above, a hypothetical bus service has a number of routes and it can be seen that only some of the routes will be profitable and these will be the busiest and high volume routes. Then there is another bunch of routes which generate a fair amount of revenue but just don't turn a profit. Lastly there will be always a set of routes which are never going to be profitable, because of the low volumes or maybe the large geographic area or whatever but which are still vital as part of the commitment to serving the public and connecting these people and communities. It can be clearly seen that any profit made on the lucrative routes is needed along with any subsidy to fund the running of the other routes. Case 1 - Tendering the top 10% most lucrative routes. Has the NTA decided to give away the top 10% of the most lucrative routes. From the point of view of the private operators this will be the ideal. From the point of view of Dublin Bus and Bus Eireann this would be a disaster to their revenues and plunge them into financial crisis very quickly. From the point of view of the government this would be too blatant and politically dangerous so for this reason we can be reasonably sure this has not happened. Case 2 - Tendering a random selection of 10% of the routes. This second case is where the routes are just a random and is likely to have one or two lucrative and one or two very revenue poor routes and a bunch of intermediates. The private operators would likely refuse to play ball with this and given the government wants to reward the capitalist 1% class whom they serve, then this is not likely. Case 3 - Tendering a cluster of 10% of the routes. Looking at the routes we can see they are grouped into clusters and in some ways this makes sense because it will always be easier to run a bunch of bus services in terms of serving bus garages and interchanging buses to routes than a dispersed operating base. 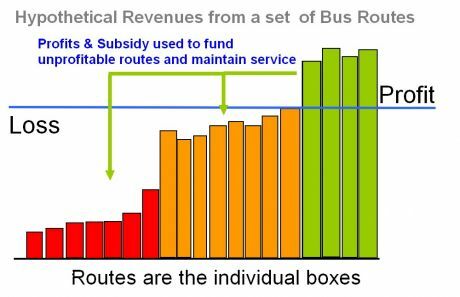 In terms of serving the private sector we can be sure it will not consist of routes from the least profitable, but will contain routes from the equivalent of the orange and green categories in the diagram above. Dublin Bus and Bus Eireann aren't likely to be happy at all with the situation since ultimately they see where all this is going to end. In this third case which the NTA/government appears to have chosen it allows for a slightly slower deterioration of the national bus companies and it will be therefore easier to handle. It also gives them more time to give negative publicity in the media to Dublin Bus and Bus Eireann as their revenues fairly quickly decline and the service quickly falls apart. bus service they will not provide it on the privatised routes or if they do, they will quitely drop it later when it will be challenged on 'competition' grounds. 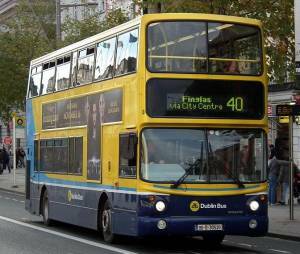 There is likely to be an implicit deal whereby the private operators will do their best to run their routes reasonably well and take the financial hit if it doesn't work out during the period when the government puts the carve up of Dublin Bus and Bus Eireann into high gear. Then when they are effectively gone and have no effective power (e.g. due to reduced bus fleet size ), we can be sure the private operators will plead that they cannot turn a profit and need more 'help' and threaten to discontinue services which no doubt they will do in some cases. The net effect though will be that 5 or 10 years down the line, Dublin Bus and Bus Eireann will be gone or sold off to private bus operator, fares will have increased, usage will have gone down, reliability will be down, quality of service will be down, the number of routes will be reduced and existing routes in cities will be modified to make more profit and less functional and country routes will completely drop out the smaller towns and villages leaving mostly just intercity and major towns as the main stop points. The regulator will be indirectly controlled by a consortium of private operators who will dictate terms. And lastly the taxpayer will be paying more than ever to subsidise the profits of shareholders and to sustain the bonus culture of top executives of these same companies. We can stop this in two ways. Protest, complain, publicize against what is going on and stop any further routes being taken away and boycott if possible the routes sold off. Attached are copies of the submissions made during the consultation process. Unfortunately this wasn't well known to be taking place at the time. They contain submissions for various interested organisations including the private bus operators, unions, politicians and a number of private individuals. They are worth browsing through. Attached also is the Dublin Bus Award contract. A map of the routes to be given away is on page 114 while the Bus Eireann maps are on pages 135 - 136 of the Bus Eireann contract. 220 Ballymun (Shangan Rd.) - Lady's Well Rd.